This essay arises from an engagement with the reflections and letters of Jacob Taubes to Carl Schmitt (Taubes 2013); central to these writings is the question of the sovereign. If the sovereign is the one who decides the exception, then sovereignty is focused on this decision of what is/is not the exception – and who gets to decide. 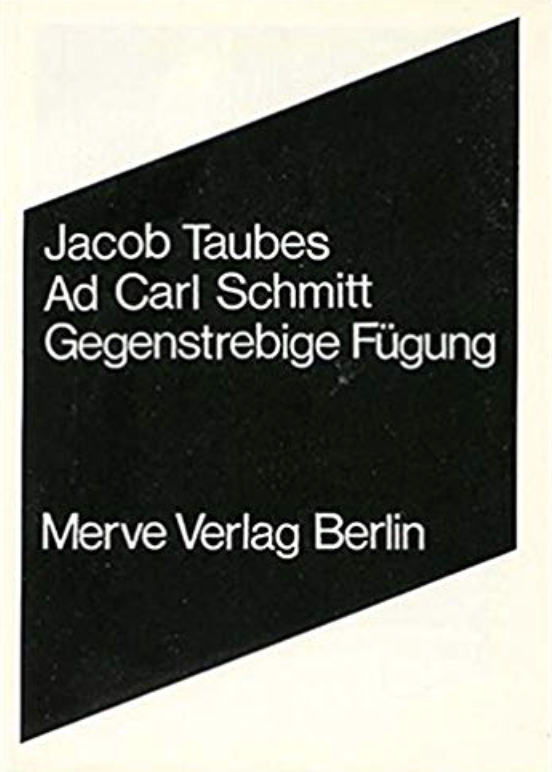 An engagement with these writings of Taubes as a Jew and friend-enemy of the Nazi jurist offers a way toward what I term the necessity of impure sovereignty. For Taubes the central question is what does pure mean and thus, dialectically, what does impure mean? To engage with this question, I begin with a discussion of Weimar and the situation that gave rise to Schmitt’s work on sovereignty. I make use of the diaries of Count Harry Kessler and also of an essay of Schmitt’s from 1926. I then turn to the writings of Taubes to Schmitt. In my view, sovereignty as understood by both Schmitt and Taubes is problematic because of its central decision for homogeneity and dictatorial democracy. Therefore, I argue for three counter-decisions. Firstly, for the necessity of the impure sovereign-decision for heterogeneity. Secondly, against the Schmittean katechon, I argue for identification with the chaotic, impure Antichrist. Finally, against history, I argue for hope and so we must make the alternative sovereign-decision to remain impure.